What better way to mark the holiday season than by hosting a holiday party? 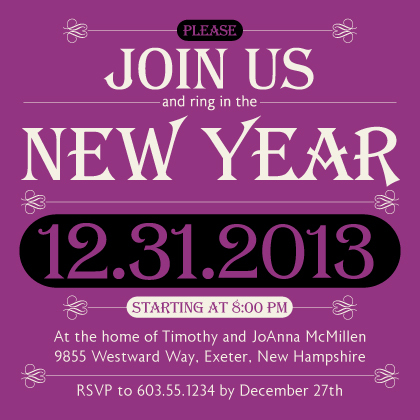 And a great party starts with a fabulous, stylish invitations to excite your guests. 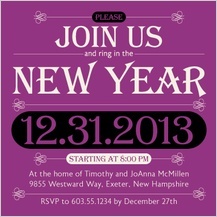 Since holiday party invitations are the first hint about your party, catch their eye and make a lasting impression. 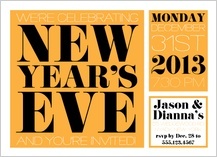 LookLoveSend's gorgeous collection of original holiday party invitation designs does just that. 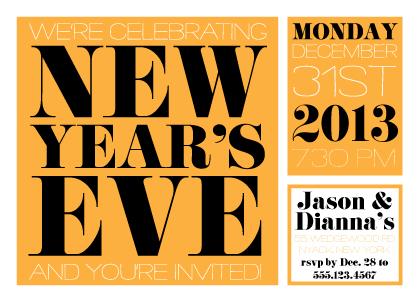 Sending a holiday party invitations from LookLoveSend ensures your invite will stand out from the rest. The same high quality, premium weight papers that we use for all our custom holiday cards, including Christmas cards, Hanukkah cards and New Year's cards, are also available for holiday party invites. Our state–of–the–art digital printing presses use rich inks to ensure crisp, clear printing. Our workmanship and attention to detail will distinguish your party invitations from other online retails or store–bought invites. Your guests will know that your party is a well–planned event they won't want to miss! In addition to great workmanship, ordering custom holiday cards from LookLoveSend is easy. Quickly customize your message with our easy–to–use online personalization tools. With just a few clicks, choose a font style, upload a photo image, and choose a coordinating pattern or color to print on the backside of your card. You may also add a coordinating envelope liner and pre-address your envelopes. Our customer service team is always ready to help you if you have any questions or special requests. They are available toll–free and through online chat, and they work closely with our professional print team to ensure the quality of your order. You'll receive a digital proof to approve before your order prints, and order turnaround is fast–your approved order prints and ships the following business day! LookLoveSend is known for our outstanding service, we will strive to make ordering your holiday party invites easy to order and hassle–free. We guarantee customized quality at an affordable price. Don't let your holiday party invitations get lost in the shuffle. Make holiday cards with LookLoveSend today.